Smooth-running operations at the new MIRA Technology Institute (MTI) are set to benefit from the appointment of a Centre Manager to oil the wheels as the new training facility for the global automotive industry moves closer to opening its doors. Ashley South, who takes on the role with immediate effect, is looking forward to working as part of the team at the Midlands-based skills centre constructed to deliver skills for the automotive sector. The training centre, which has been built with a £9.5m allocation of Local Growth Fund via the Leicester and Leicestershire Enterprise Partnership (LLEP), is due to be launched in September 2018. A project to deliver the new building that will house the training facility has been in progress since December last year. As the centre gets ready to open its doors, Ashley will be making sure that everything is in place and ready for new students and visitors as they take advantage of the opportunities that the MTI offers to enhance the local, regional and international workforce. 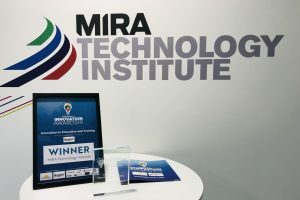 The MIRA Technology Institute is expected to become a global centre of excellence, helping to nurture specialist skills in new disruptive technology areas such as electrification and driverless cars, ensuring a sustainable supply of future technical specialists and engineers. The project is led by North Warwickshire and South Leicestershire College and HORIBA MIRA, working closely with a collaboration of key partners including Coventry University, Loughborough University, and the University of Leicester. Ashley joined the MTI from Diamond Facilities Support, based at Birmingham Business Park, after a career in the public and private sector working in multiple facilities management roles with organisations including Birmingham Hospital Saturday Fund (BHSF) and Willis Towers Watson financial services, plus the head offices of both supermarket giant Aldi, and plumbing and heating distributor Wolseley UK. Ashley has a wealth of experience in building and premises management including security, cleaning, health and safety, and mechanical and electrical maintenance. In his new role, he will take responsibility for the smooth-running of the MTI, including facilities management, health and safety, and front of house functions such as reception and customer services. Ashley started his working life as an apprentice himself and understands the importance of a high-quality workplace learning environment. 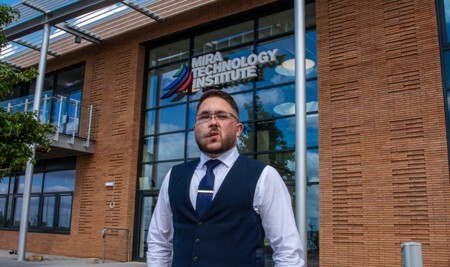 Lisa Bingley, operations director for MIRA Technology Institute said: “I am delighted to welcome Ashley to the team in his role as centre manager for MIRA Technology Institute. With experience in the service industries and on the client-side, Ashley has skills in project and budget management that will be invaluable to the MTI. 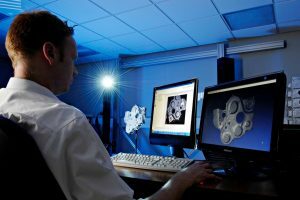 The MTI is being created to help satisfy the ever-increasing demand for specialist skills in the automotive sector highlighted in research by the Leicester & Leicestershire Enterprise Partnership (LLEP) to identify future skills needs. 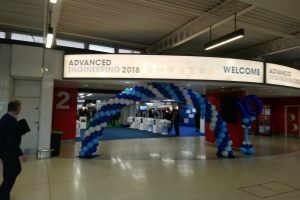 The project offers a unique solution aligned with the Government’s Industrial Strategy by creating a technology institute focused in the automotive sector. It has been funded with £9.5m from the Leicester and Leicestershire Enterprise Partnership (LLEP) Local Growth Fund, and is backed by the Department for Business, Energy & Industrial Strategy (BEIS). Developing talented apprentices right through to qualified engineers, the MTI will bridge the skills gap across the automotive sector with relevant expertise and qualifications, providing students and apprentices with a ‘ladder of opportunity’ up to Level 8 (PhD level).